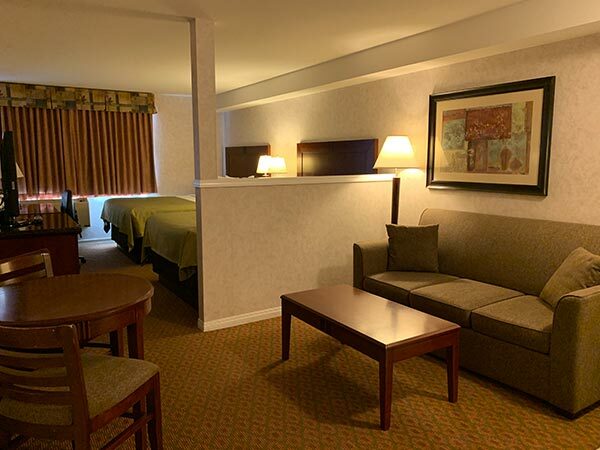 We have recently updated all of the rooms at the Pacific Inn & Suites. 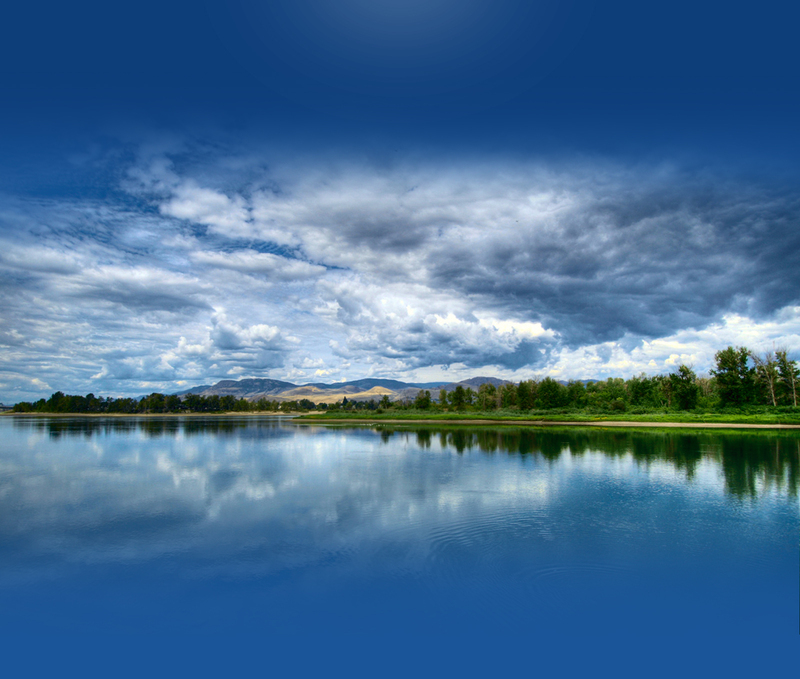 Our goal is to create upscale Kamloops accommodations while still providing affordability for families. For information on available rooms, please contact the hotel directly. 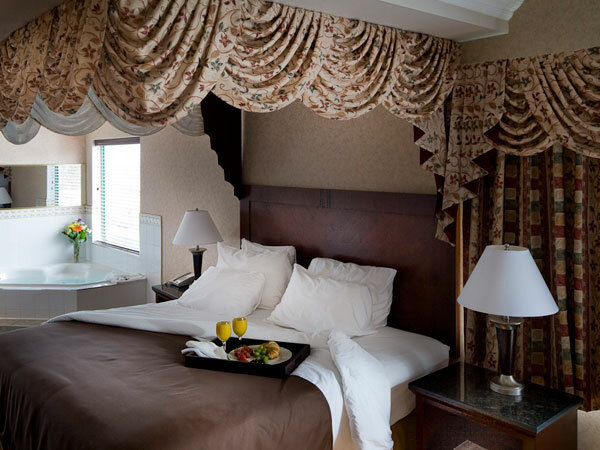 Our elegantly appointed Traditional Room features two luscious queen beds to relax in. There's a coffee maker to brew a fresh cup each morning, an iron & board to press your Sunday best, and free wireless high speed Internet access to help you stay informed and connected. And at the end of long day, you can sink into the luxurious linens and catch a flick on the 37" flatscreen TV. The room is equipped with a microwave and mini fridge, in case you want a quick meal. Our Traditional Rooms are also available with additional accessibility for disabled guests. 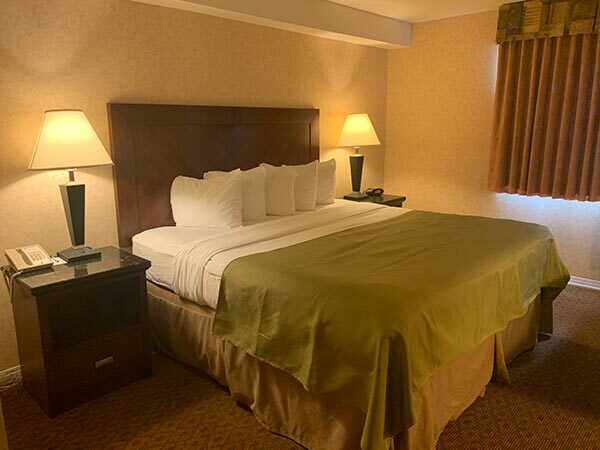 Our Executive King Room offers suite-style accommodation with a spacious king bed and double pull-out sofa separated by a privacy partition and facing a 37" flatscreen TV. With free local calls, voicemail, free wireless Internet, coffee maker, and more, you'll feel right at home.The room is equipped with a microwave and mini fridge, in case you want a quick meal. Our Mini-Suite offers cozy, affordable accommodations with two queen beds and a double pullout sofa separated by a privacy partition. The generously outfitted kitchenette features a stovetop, mini fridge, dinnerware, microwave and coffee maker so you can prepare gourmet meals without leaving the comfort of your room. And with free wireless Internet and a 37" flatscreen TV for your entertainment, you might not want to leave. Our full One Bedroom Suite offers spacious, apartment-style accommodation with a bedroom, living room and kitchenette. The bedroom features two luxurious queen beds, while the living room offers two plush double pullout sofas. 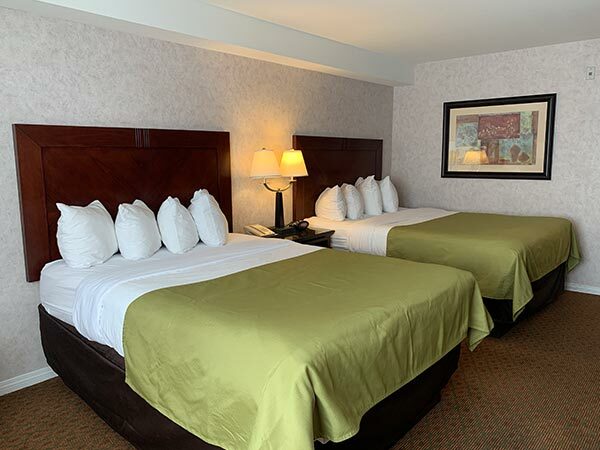 Both rooms are furnished with 37" flatscreen TVs and, of course, there's complimentary high speed wireless Internet. The kitchenette is outfitted with everything you need to whip up a meal, with a stove top, mini fridge, dinnerware, microwave, and coffee maker. There's also an extra sink and mirror in the suite, making early morning fights for the bathroom a thing of the past. Our One Bedroom King Suite features all the amenities of our standard One Bedroom Suite, but offers one king bed in the bedroom and one double pullout sofa in the living room. 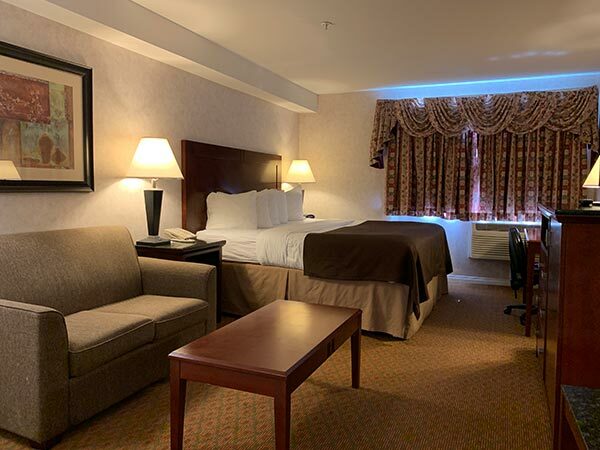 You'll find 37" flatscreen TVs in both rooms, as well as our other first-class amenities like complimentary wireless Internet, free local calls and more. The kitchenette is fully outfitted with a stove top, mini fridge, dinnerware, microwave, and coffee maker to accommodate all your culinary desires. Our Honeymoon Suite is a dream for couples, featuring a luxuriously appointed king bed, luscious love seat, and a delightful jet tub right in the room. Enjoy a romantic night in and cuddle up for a movie on the 37" flatscreen TV. 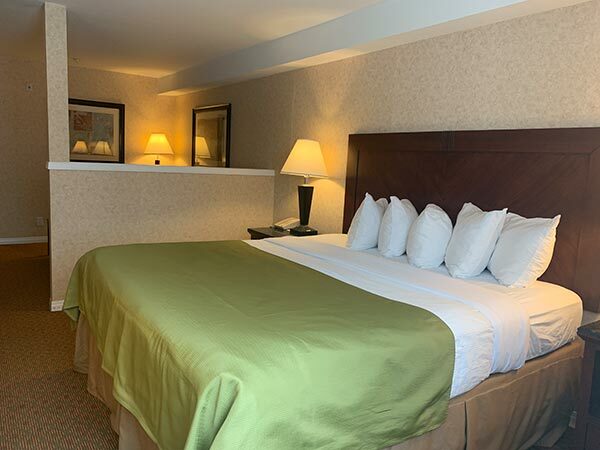 When it's time to get going in the morning, this suite has everything you need with a coffee maker, iron, free local calls free, and complimentary wireless high speed Internet.The room is equipped with a microwave and mini fridge, in case you want a quick meal.